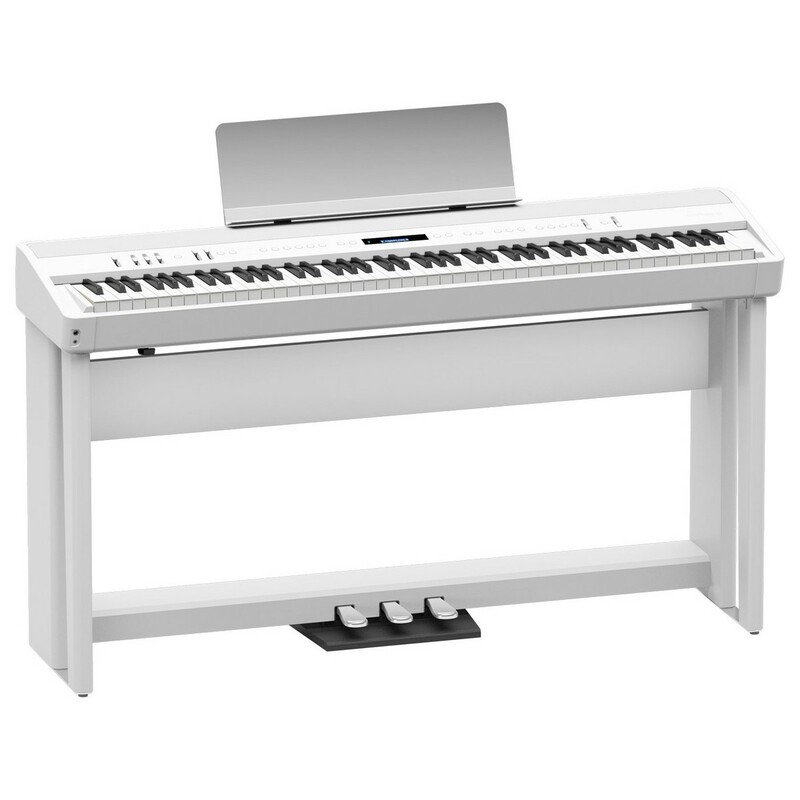 The Roland FP 90 Digital Piano in White offers a no-compromise performance for the advanced musician. The SuperNATURAL sound engine produces a range of rich, complex tones with an organic response similar to an acoustic piano. The FP 90 benefits from Roland's PHA-50 hammer action keyboard for a weighted feel with key sensors picking up the most subtle nuances in your playing style. The diverse range of piano sounds includes concert grands and uprights, as well as a range of organs and synths to suit adventurous musicians. The FP 90 packs high quality, detailed features into a sleek looking, portable design. This exclusive pack includes the official Roland stand and pedals so you can start practising straight away. SuperNATURAL Piano technology powers the onboard grand piano sounds, delivering a world-class performance. The FP 90 reacts quickly to your touch for a responsive and realistic performance. The intuitive Piano Designer feature makes it easy for you to personalise the FP 90's tone and response to suit your taste. Parameters such as hammer noise, cabinet resonance and even single note character are all able to be edited for your specific requirements, giving each musician their own signature sound. Despite having the sound and feel of a classic acoustic piano, the FP 90 takes advantage of modern features to make it more accessible than ever. The integrated Bluetooth can be used to stream music from your phone or tablet, so you can play along to your favourite tracks. The USB memory slot can store your recorded performances directly as either a WAV or MP3 file. As well as this, your music production software can be connected via USB, making the FP 90 a functional controller. Thanks to the Bluetooth/MIDI technology, owners can use the Piano Partner 2 app. This free app follows the chords as you play and adds a full ensemble orchestra for a grand performance. This technology can also be used for sheet turning and the piaScore apps. 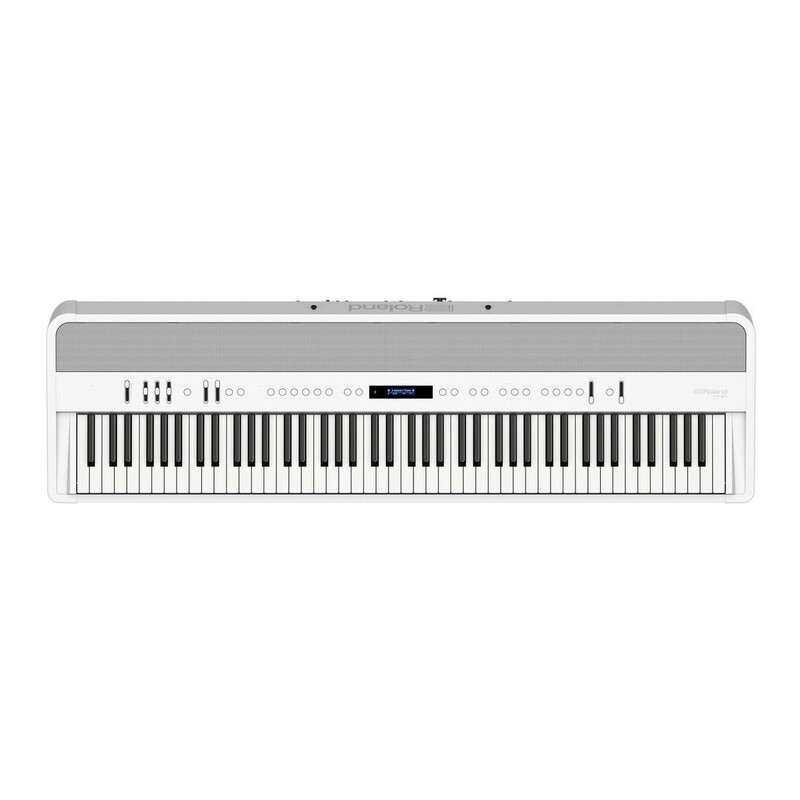 A digital piano should be comfortable to play wherever you are. The FP 90 features some of Roland's flagship design and materials to achieve the most authentic feel. The PHA-50 progressive hammer action keyboard has a weighted feel with consistent response through the entire motion and release of each key. The wood and plastic hybrid construction has an identical response to an acoustic piano, whilst the coating ensures long lasting durability. 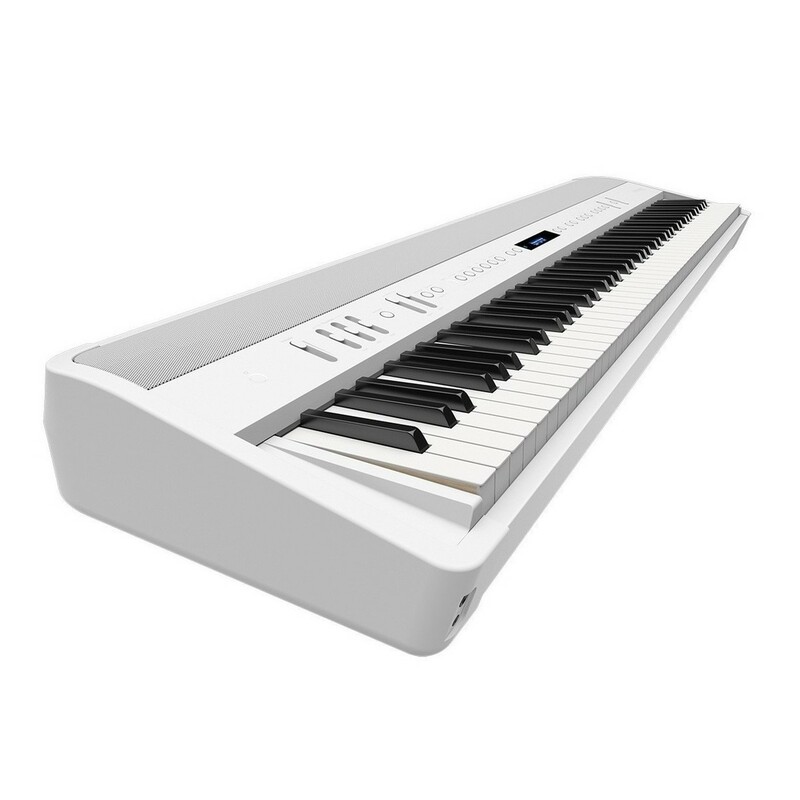 The ebony/ivory feel keytops absorb subtle moisture from your fingers for a more organic feel over time. Whether it’s in the home, studio or venue, the FP 90 remains easy to use. The touch sensitive controls mean there are no knobs that could be broken in transit for long lasting reliability. The backlit control outlines keep everything easy to read in low light venues. The FP 90's subtle LCD screen is a suitable hub for navigating through the extensive features. This model's sleek white design gives a smart look for any setting. The Roland KPD-90 Triple Pedal is an accessory for the FP-60 and FP-90 Digital Pianos. The KPD-90 pedal provides an elegant integrated look which is ideal for the home. The pedal's configuration supports progressive damper action, which produces continuous response for traditional playing techniques. Suitable for advancing players, this triple pedal is the perfect accessory to complement your digital piano. 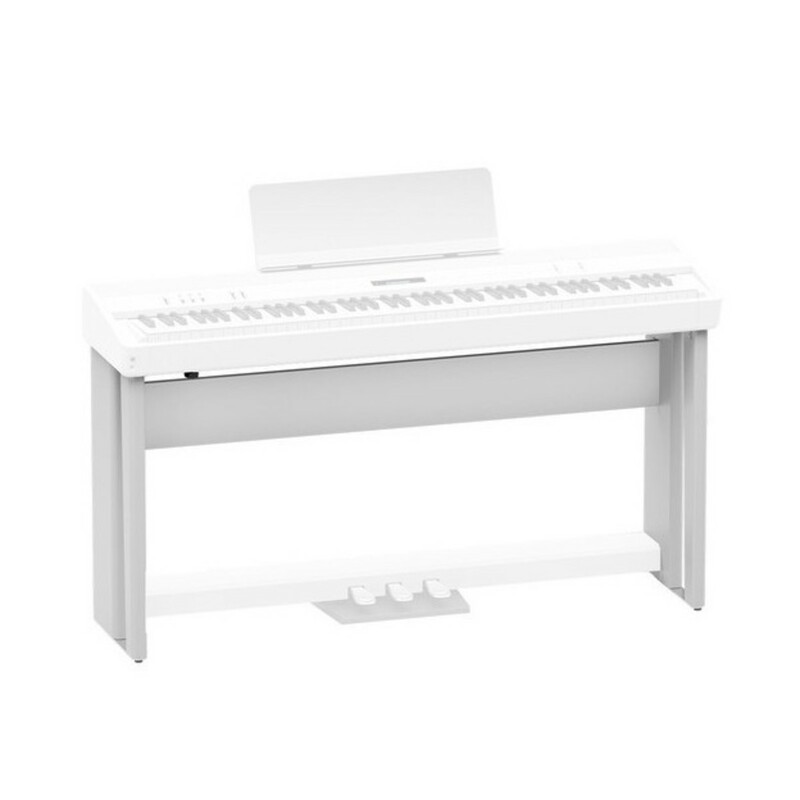 The Roland KSC-72 is a stylish and secure piano stand designed specifically for the FP-60 Digital Piano. 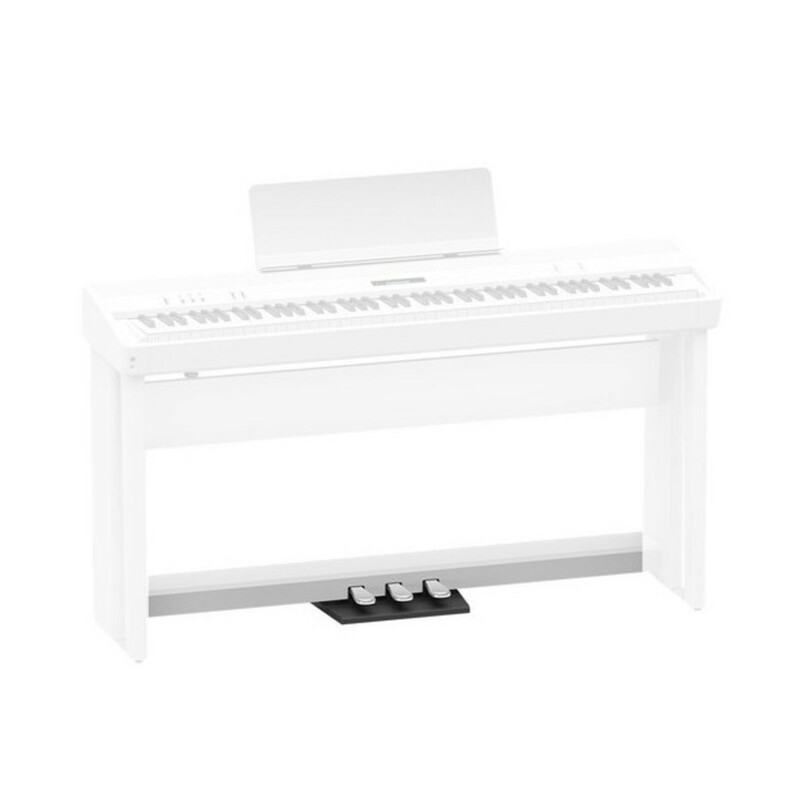 The KSC-72 features a matching white finish and is compatible with the Roland KPD-90 Triple Pedal Unit, providing the perfect home setup for your FP-60 Digital Piano.